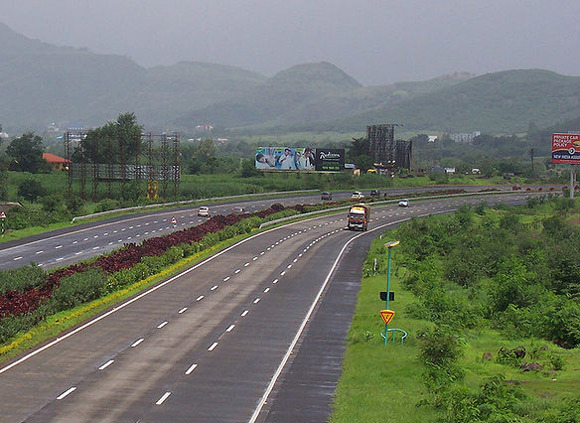 Rediff.com » Business » 7,200 km of state roads to be turned into highways soon! 7,200 km of state roads to be turned into highways soon! 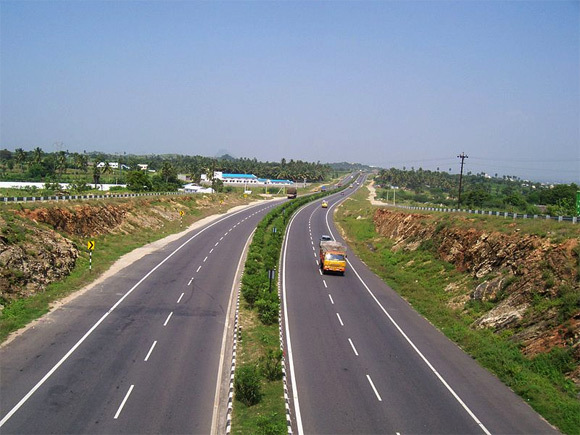 The government on Thursday decided to convert 7,200 kms of states roads into national highways. "The Cabinet Committee on Economic Affairs has given nod for declaring 7,200 km of state highways as national highways," a senior Minister said after the meeting in New Delhi. With this the total length of the state highways converted into National Highways during the United Progressive Alliance regime would reach about 17,000 km. 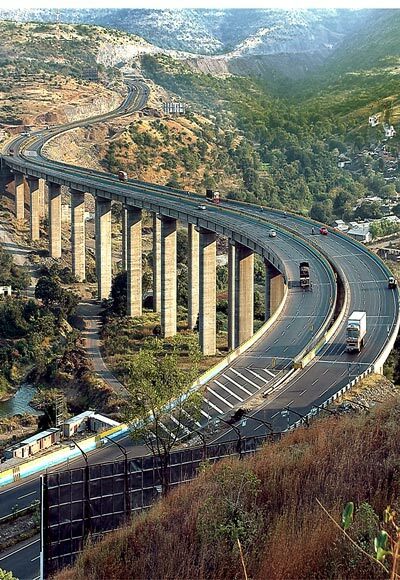 Image: Katraj realignment near Pune on NH-4. These roads, sources said, are spread across states, including Andhra Pradesh, Madhya Pradesh, Bihar and Uttar Pradesh besides bordering areas like Leh and Laddakh regions. Meanwhile, an official statement said there would be sufficient funds to take up improvement on new National Highways. "Keeping in view the estimated allocations likely to be made available for development of non-NHDP National Highways based on the previous years' trends, it is anticipated that there would be adequate funds available for taking up improvement works on these new NHs," it said. Image: A view of the Salem-Coimbatore Highway from Chittode. National Highways Development Project is the flagship road building programme of Ministry of Road Transport and Highways, currently running into seven phases. It added that there would also be adequate funds available for taking up improvement of the remaining existing NH Network of 21,271 kms, not covered under any programme so far. The statement said expansion of the NH network is a continuous process and declaration of a new NH is taken up from time to time, depending upon requirement of connectivity, inter-se priority and availability of funds. Why are India's road projects in limbo?